This climb is the least difficult climb on Eldorado, but that doesn’t mean its easy! The East Ridge of Eldorado Peak features all the aspects of a climb in the Cascades range: steep trails, scree, glacier crossings and a knife-edged arete! Our climb will start with a very steep trail climb as we head towards the edge of the Eldorado Glacier and a suitable site for our camp. 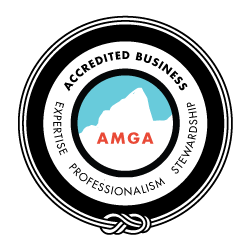 On our climb day, the climber will be greeted with crossing alpine boulder fields and a massive glacier in order to gain the East Ridge. Eventually, the jaw dropping knife ridge leading to the summit of Eldorado Peak is encountered, the main feature of the climb. We will retrace our steps back down the route to our camp before making the hike out back to the trail head. This is a tough outing, but very rewarding. Additional days can be added to explore some other excellent climbs in the area. A classic North Cascade Route. 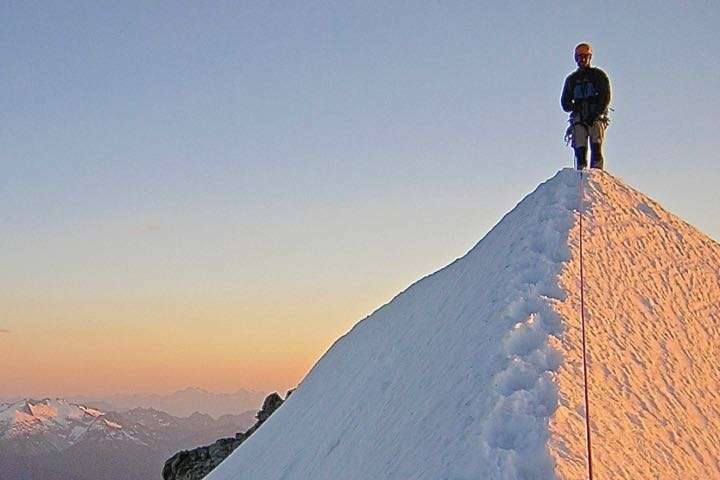 This climb combines a burly approach, glacier travel and a knife-edged snow ridge to make for a memorable alpine adventure. Combine two objectives for a four-day trip into Boston Basin: Forbidden Peak, Sharkfin Tower, and Sahale are a few attainable summits with alpine variety. Prior alpine climbing experience is required to join us on this program. Consider Mount Baker’s Coleman Deming for an introduction to glacier travel.